When friends and family want to make their own selections, we offer beautiful, hand-inscribed gift certificates accompanied by a copy of our latest catalog. They are available in increments of $25, $50 and $100. Just order the quantity or combination of the denominations for your perfect gift. 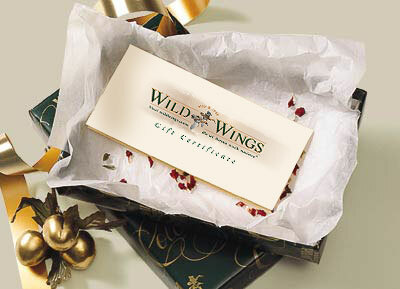 **Gift certificates are sent via PRIORITY MAIL unless requested otherwise. If shipping any other way, additional shipping charges will apply. Please see our Shipping/Pricing section under Customer Service below for details or call us our customer service representatives at 800-445-4833 Mon.-Fri. 7 a.m.-5 p.m. CST.